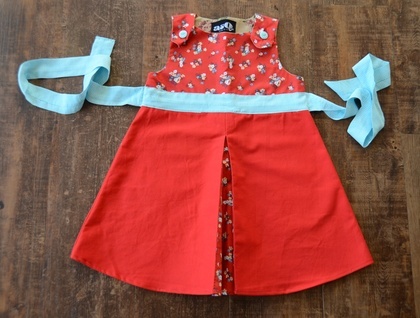 Darling wee pinafore for that special size four. 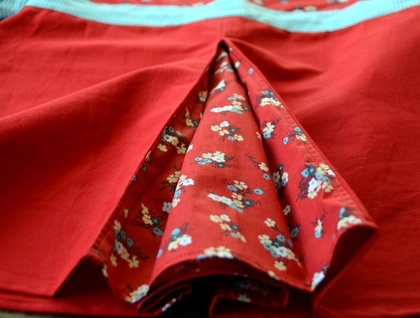 Pretty floral in blues and greys on a red base ~ used for the bodice and large pleat in front and back. 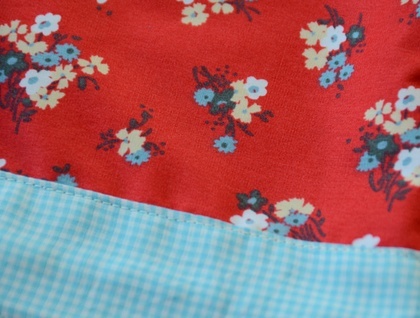 Together with a turquoise/ white gingham cotton for waistband/tie. Finishing touches of 2 turquoise striped buttons at shoulders. Bodice fully lined in floral cotton sheeting.